The sausages are pretty fiddly to make so I didn’t include Thomas in the making of them but he did go and pick some parsley from the garden with Daddy to put in the sausages. The recipe is one I found in Annabel Karmel’s ‘Feeding Your Baby and Toddler’. The sausages can be enjoyed by the whole family! Put the chicken in a food processor with the onion, parsley, crumbled stock cube, apple and breadcrumbs until combined. Form the mixture into sausages (each about 10-12cm long). Spread flour on a plate and roll sausages in flour. Heat vegetable oil in a pan, add the sausages and saute for about 15 minutes or until browned on all sides and cooked through. Meanwhile, steam potatoes in some lightly salted water. Add vegetables for decorating 5 minutes before potatoes are done. and cook until tender. To decorate: Form the potato into a dome shape (the recipe says to use an ice cream scooper but I just used a spoon). 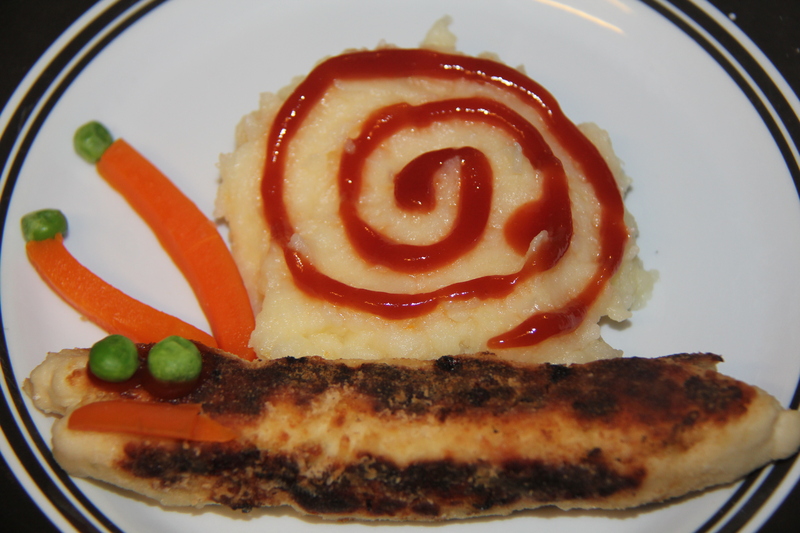 Decorate with tomato sauce using a spiral – snail shell effect. Put a sausage underneath each potato dome and decorate with carrots and peas. You could add another green vegetable like beans at the bottom to make grass. The recipe says it makes 4 servings. I usually double it to feed everyone and then have some for freezing. Note: Don’t pre-coat the sausages with the flour and leave them on a plate like I did. They all stuck together and I had to re-roll them. Just do it when you’re ready to put them into a pan. Sausages are suitable for freezing. Ok, if you’re really game your kids could have alot of fun getting really messy and hands on with this recipe and really you can’t go wrong. I myself just made it by myself… Thomas sat this one out. 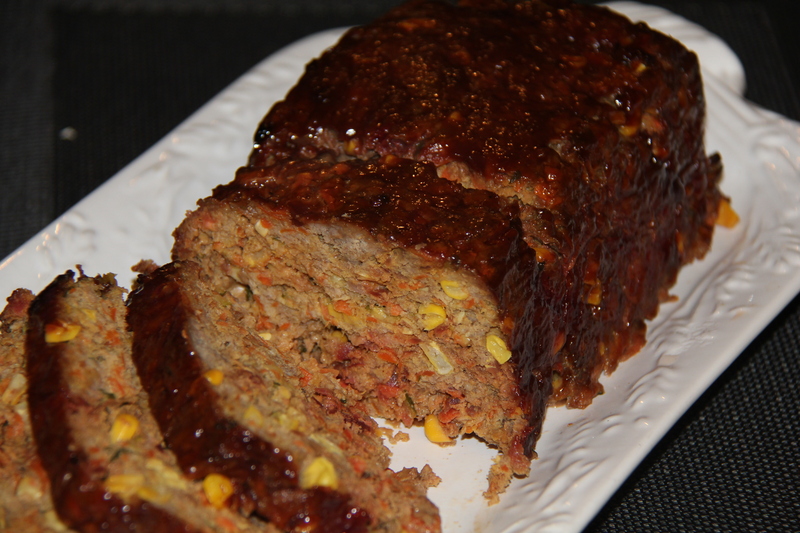 The great thing about this meatloaf is that there are so many vegetables in it that it’s a meal in itself. This recipe is from a Woman’s Weekly cookbook called “Healthy Babies”. Preheat oven to 200 degrees. Grease (or line with baking paper) 12cmx22cm loaf pan. Press mixture into pan and cover with foil. Bake for 40 minutes. Remove loaf from pan, drain excess juices. Turn pan upside down onto foil or baking paper lined oven tray. Brush loaf with combined sauces, bake uncovered , brushing occasionally with sauce mixture about 20 minutes or until loaf is cooked through. Stand 10 minutes before slicing thickly. I usually serve this with mashed potato and steamed green beans (not that they get eaten!). Children are very sensory learners and cooking is a great way for children to get in touch with their senses. You can help them do this by bringing to their attention how different foods look (colour, shape), feel (rough, smooth, sticky etc), taste (sweet or savoury) and smell and also by drawing different sounds to children’s attention, for example the oven timer beeps when dinner is ready, or even the simple hiss of food cooking in the frying pan. You can also talk with children about what they use for each sense i.e. feel with your fingers, taste with your tongue. This simple activity helps children learn about their bodies. When we made dinner tonight, Thomas and I went to pick the chives from the garden that we needed for our recipe. I gave Thomas some chives to eat. It is important to allow children to taste different foods individually so they can learn to differentiate flavours and also to develop their likes and dislikes. Encourage children to try new foods but don’t force them, if you make tasting foods a positive experience children are more likely to try new things. I originally got this recipe from a Super Food Ideas magazine but have added my own spin to it. I usually double the recipe and freeze some, it can be eaten cold if you are looking for lunch box ideas. Preheat oven to 180ºC/160º fan forced. Grease a 3cm deep, 20×30 cm (base) lamington pan. LIne with baking paper allowing 2 cm overhang at long ends. Cook rice following packet directions. Drain. Cool for 20 minutes. 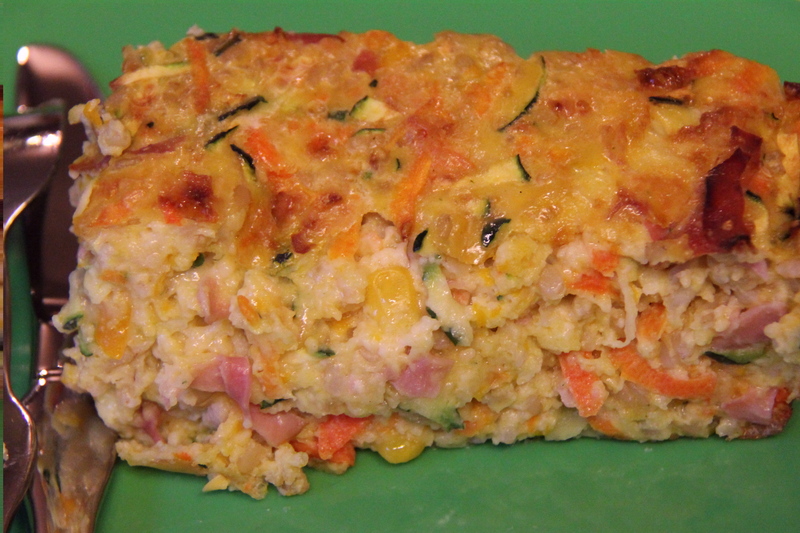 Combine rice, carrot, zucchini, corn, pumpkin, chives, cheese and flour in a bowl. Whisk eggs and milk together in a jug. Add to rice mixture. Stir to combine. Spread into prepared pan. Bake for 35 minutes or until lightly browned and cooked through. Stand in pan for 20 minutes. Cut into pieces. Serve. To freeze: wrap each piece in plastic wrap then foil and freeze for up to 2 months. 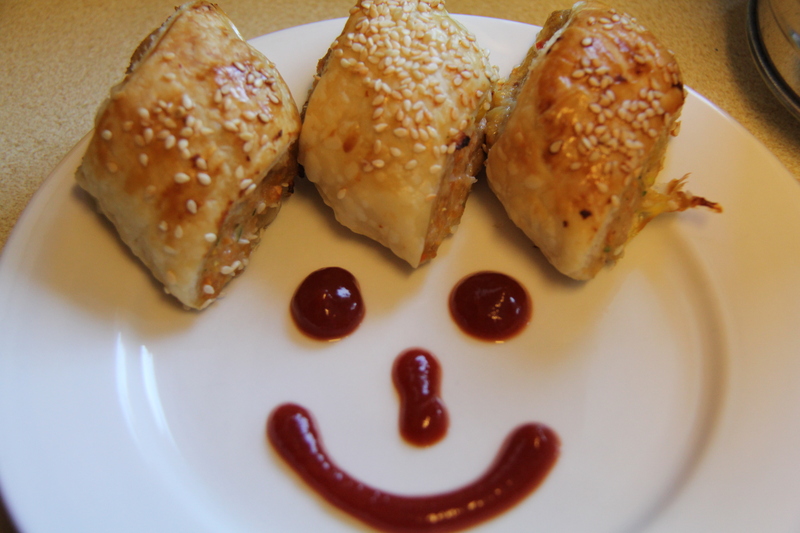 Who doesn’t love a sausage roll?? My friend Claire shared this recipe with me after she told me how successful it is in getting her girls to eat some vegetables. 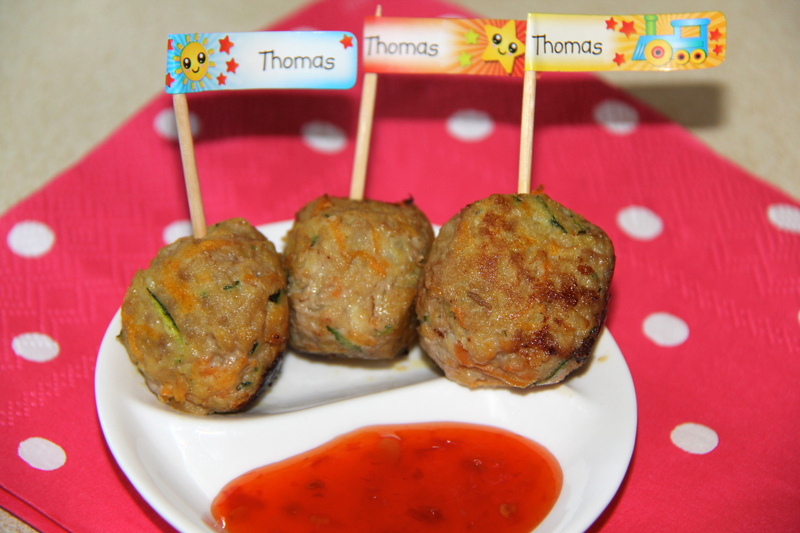 I was very eager to give it a try with Thomas who has decided he is a fussy eater. Must be the age, I have heard often the tale of the child who would eat anything you put in front of them and then suddenly – around age 2 they refuse basically everything! So begins my search for healthy, nutritious recipes that Thomas will eat. 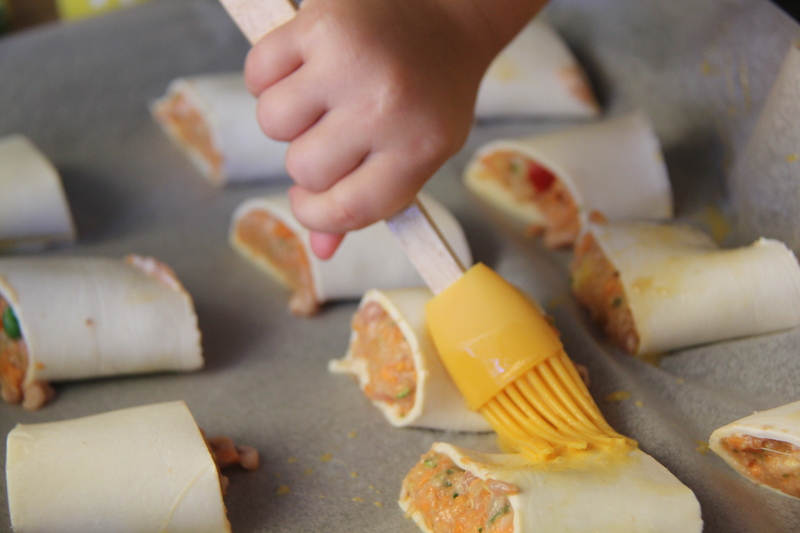 This recipe is a little fiddly to be preparing with little ones, but older children will be more than capable of making these sausage rolls. Thomas helped me with preparing the meat mixture and then I put the sausage rolls together and cut them while he was sleeping. I then enlisted the help of my mini masterchef to egg wash the rolls and sprinkle the sesame seeds. It was a bit messy but nothing that can’t be swept or wiped up! This process will help to develop children’s fine motor skills and hand eye co-ordination. Children are much more likely to learn when they are motivated and interested in what they are doing. Learning takes place every minute of every day for young children. It’s not just when you sit down and decide to “teach” them something. Incorporating learning into every day tasks like cooking makes learning real and relevant to children. Combine breadcrumbs and milk in a bowl and set aside until milk is absorbed. Remove casings from sausages and place in a food processor with crumbs, onion and egg. Process until well combined, cover and refrigerate for 30 minutes to chill.To the meat mixture, add grated carrot, zucchini, potato, sweet potato and frozen peas and corn (I also added some capsicum). Mix until combined. 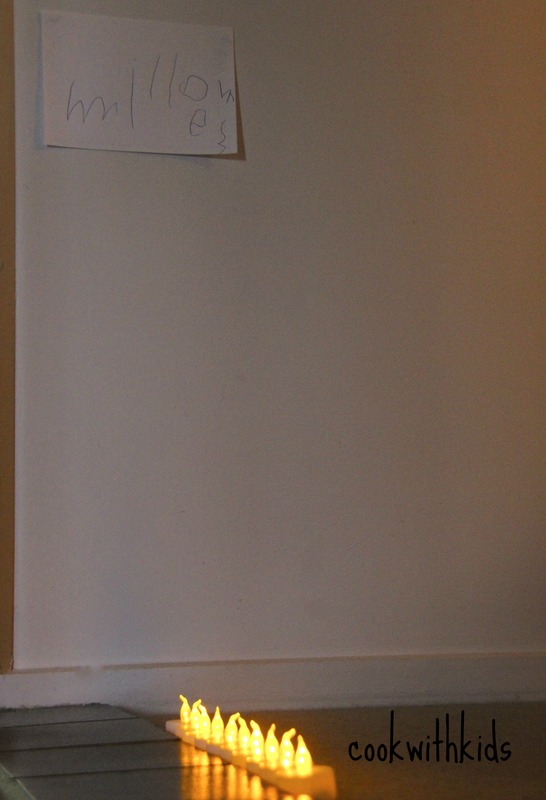 For added “motivation” serve with a sauce smiley face (also Claire’s idea!). It worked a treat for Thomas! Yum (not only for kids)!